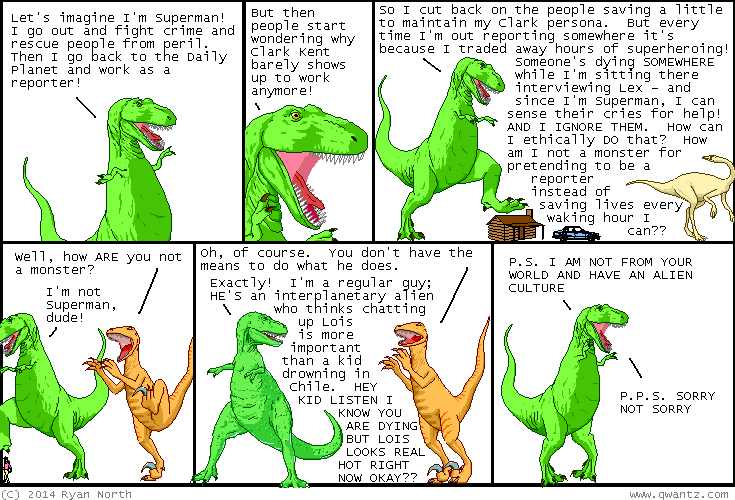 Dinosaur Comics - May 12th, 2014 - awesome fun times! May 12th, 2014: Thanks to everyone who came by to say hi at TCAF! It was, as always, a really excellent time and I loved every minute of it. We had a surprise SECRET PANEL where Randall Munroe and I talked about comics, and also I did a reading of Dinosaur Comics (YES I did the voices) and Adventure Time and The Midas Flesh. AWESOME TIMES, YOU GUYS.